Gizmo Password Recovery - instantly find and decrypt your Gizmo5 passwords! There is a simple way to check whether you Gizmo password can be retrieved. Once you know your password is stored on the system you can use our tool to recover it. 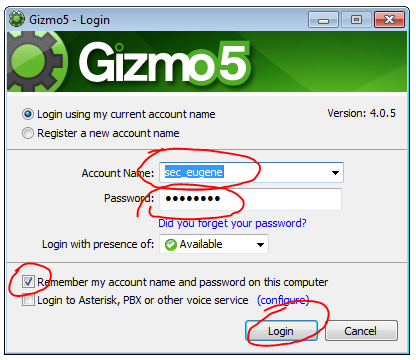 You can now access your Gizmo5 account to change Gizmo password to something that is easier for you to remember. Note: The IM, Email and Social Network account passwords are not stored locally and that's why the decryption of these passwords is not included in our software. 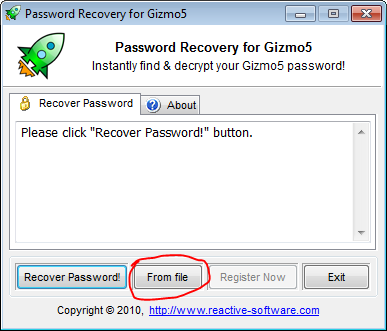 Password Recovery for Gizmo5 is also able to recover external user data files that were created by Gizmo5. This is useful if you would like to recover passwords from files saved on crashed systems or hard drives or if you wish to decrypt Gizmo passwords from other users on this computer (you will need administrator privileges to do this). Select your file in the Open File window and click OK. All passwords stored in the selected Gizmo5 passwords file will be decoded and shown on the screen. Both Windows Vista and Windows 7 run programs with minimal user rights by default. If you need to recover passwords saved by Gizmo5 under other Windows user accounts, you need to launch Password Recovery for Gizmo5 with the Administrator rights. 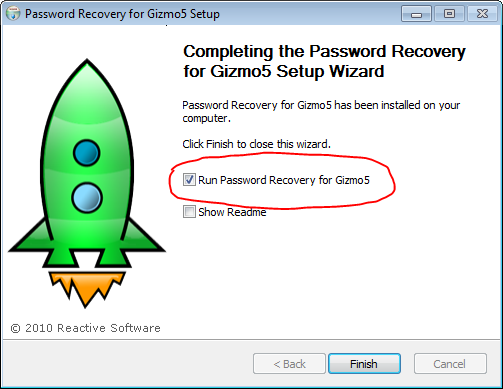 To do this, right-click on the Password Recovery for Gizmo5 icon on your Desktop and select Run as administrator. 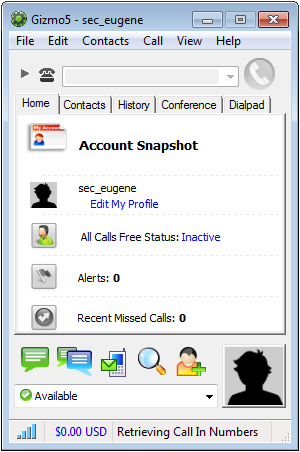 Click Yes if the User Account Control pop-up window asks you a question. 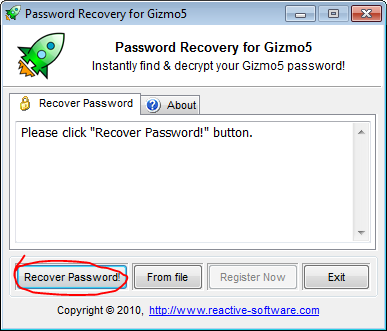 Click Recover Password button in the recovery screen to find Gizmo5 passwords from all Windows user accounts. Gizmo5 passwords are encoded using base64, MD5 and RC4.